There are numerous ways to prepare exams. Because of each individual have different kinds of reading habit. They must need certain kind of feel or surroundings then only they can able to concentrate otherwise they cant. I am suggesting my method, it may be suits for you or may not. 1. First buy Lal and Kumar MCQ Book. See below image. 2. 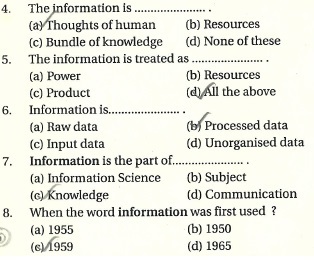 You can see that the questions are arranged systematically. 3. I am not seen any other book like this. 4. And also this book is not a bible, like if you read only this book, may be you can attend 25-40 percentage of questions. 5. Use this book as a road map. 6. If any information missing in the book, search internet or study materials and write down in your notes. 8. First and foremost, Thoroughly read Lal and Kumar MCQ. You must know answer to every questions in that book. 9. After Read IGNOU, or Any other university study materials. 10. Next Old questions papers of NET or any other Library Science Exams. 12. Then you will know your capacity. 13. After Improve your study notes, Read, Re-Read, Re-Read, Re-Read.